Are You Giving Your Child Multivitamins? Do you give your child their daily dose of goodness to ensure they have all the right nutrients to grow healthy and strong? Perhaps you don’t need to as they eat really great well balanced meals (praise you if they do). Since Nate & Ruby are both completely different in their eating habits (and personalities) I knew I had to pump them with added vitamins to be sure they are perfectly…well…perfect! Health to me is #1! Ruby likes all green vegetables except for green herbs, she loves corn, carrots and a few select other things. Nate will pretty much only eat corn! On the other hand, they both love their fruits! I often worry they do not have enough of these healthy foods (or as the modern day Mamma calls “super foods”) in their tiny bodies. If only they would eat like rabbits and be full of kale, beans, beetroot and a rainbow of other fruits and vegetables I would be one happy girl. I wouldn’t be happy to change my little guy’s diapers though! I have enough of it with him eating strawberries and watermelon, what a horrendous disaster zone. According to the American Academy of Pediatrics they suggest that the decision to give your child a multivitamin stands totally up to you (along with your doctor). After all, mother’s know best! A multivitamin helps to fill in gaps where your little one may be lacking something (ie. green legumes for Nate). 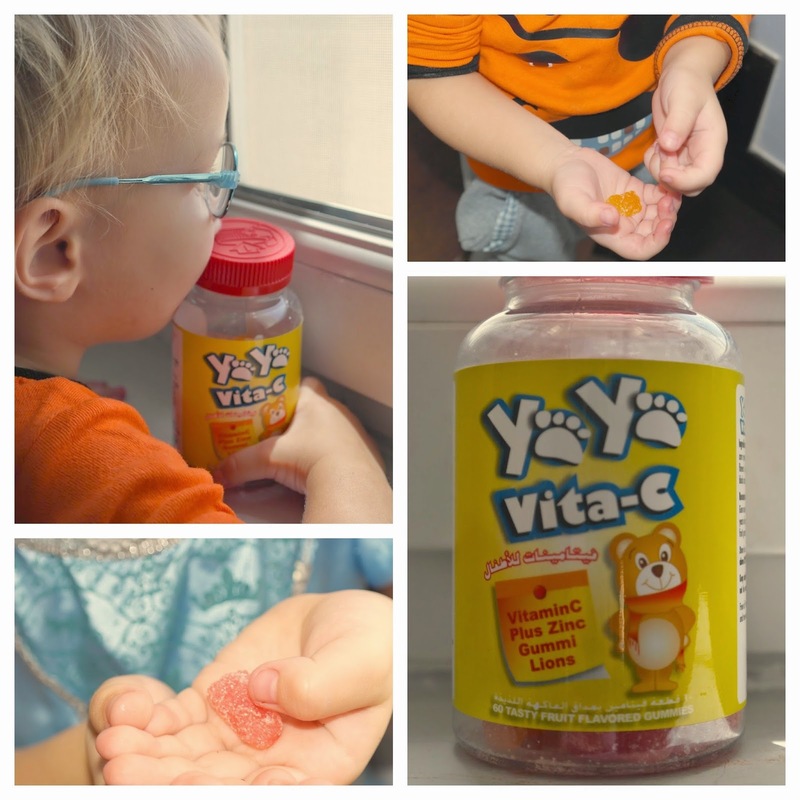 Whenever I pop a vitamin in my kiddies tiny hands and see them gobbling it up, it kind of helps give me peace that they are hopefully adding something extra healthy to their bodies that they need to grow. Previous to Yaya I found an organic range by Rainbow Light (Nutri Star & Kid’s One) at a small nutrition shop in Dubai Mall near Worood Flowers on the LG floor. 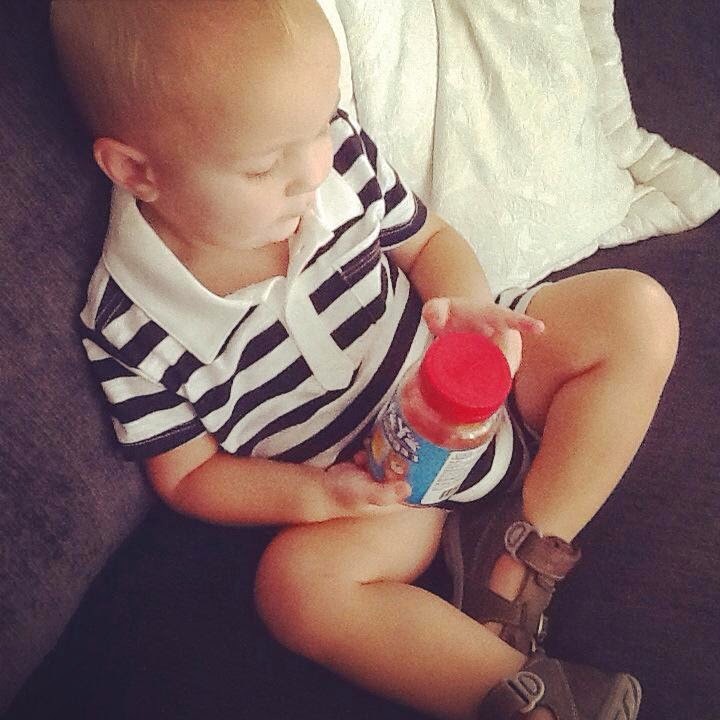 I would love to hear your input on whether your tiny tot takes vitamins and if so, what brand/type? Lets get talking and sharing.